Lately I've seen many new ideas on how to use your waffle iron. Personally mine disappeared many years ago in one of my many moves. I don't know if it ended up at a 2nd hand store or at a yard sale... but now... people are coming up with all sorts of wonderful ideas! You can even buy books full of waffle recipes at Amazon. Here you can even find waffle iron cookies of many flavors and corn bread. Hmmm... is this a faster way to cook cookies than in the oven? And Banana Nut Bread Waffles here. Have you ever tried anything but your typical waffles in it? If so, what is it you've cooked in a waffle iron? 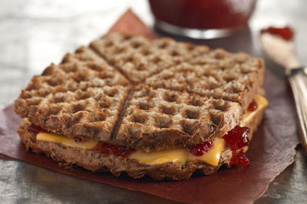 Are you willing to try the Grilled Cheese and Strawberry Jam recipe? Do you have a Fourth recipe for Waffles? 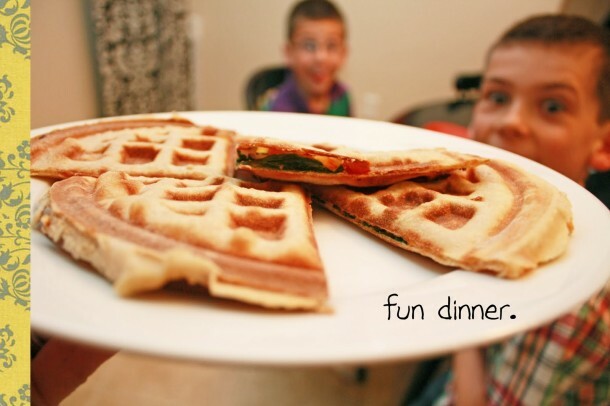 I just saw this post on SITS and followed you over, I can't wait to try this with my waffle iron! Thank you so much for stopping by! It truly was great seeing you here for a visit! 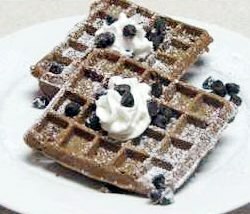 Let me know how you like the waffle recipes! Waffle Iron Brownies?!?! That's my kind of cooking! I'd never thought to use the waffle iron for anything but waffles. What great ideas.